The capital city of China has been dealing with exponential urban growth for several decades now. Construction sites are a common sight in Beijing, the city whose population exceeds 11 million people. New buildings are being made every day, but many of them are never completed. These unfinished structures are favorite surfaces of the Chinese artist ROBBBB. 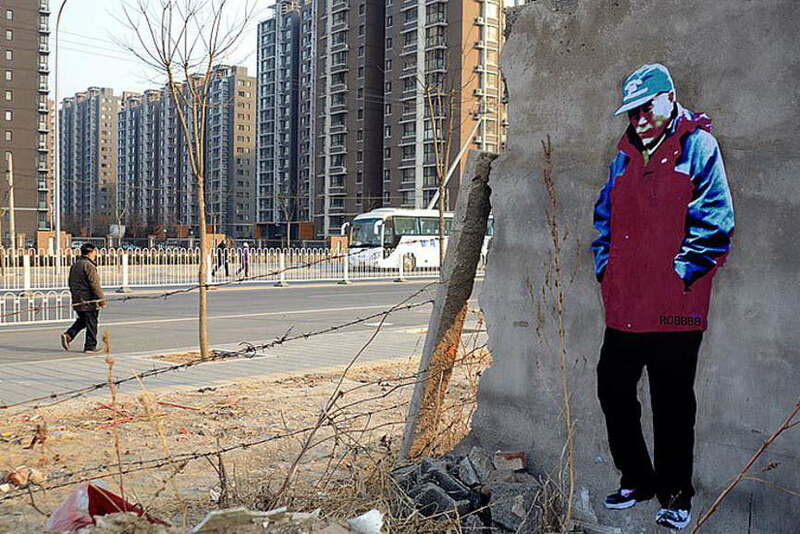 Street artist ROBBBB paints portraits of Beijing’s citizens, including children, elderly people, businessman and construction workers, while using walls of abandoned buildings as canvases. The artist’s created his name by taking a common English name Rob, and then adding few extra Bs to it. 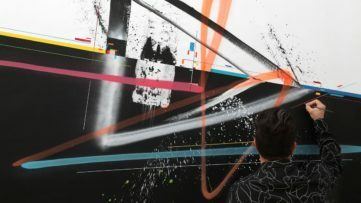 The second B signifies his home town and his main inspiration – Beijing, third B symbolizes one of his favorite street artists Blek le Rat and the final B stands for the best. However, it’s not that the artist thinks he is the best (as one might assume), its just a way for ROBBBB to motivate himself to work harder. 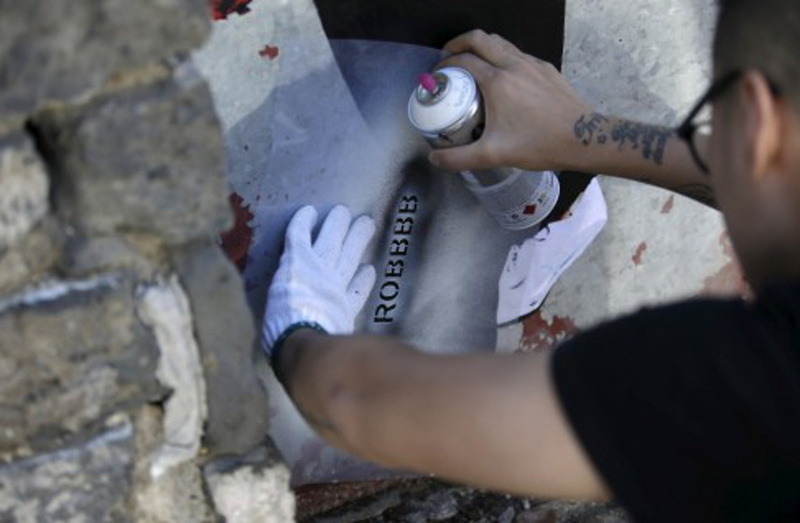 ROBBBB has created over 200 street art pieces so far and has no plans to stop. 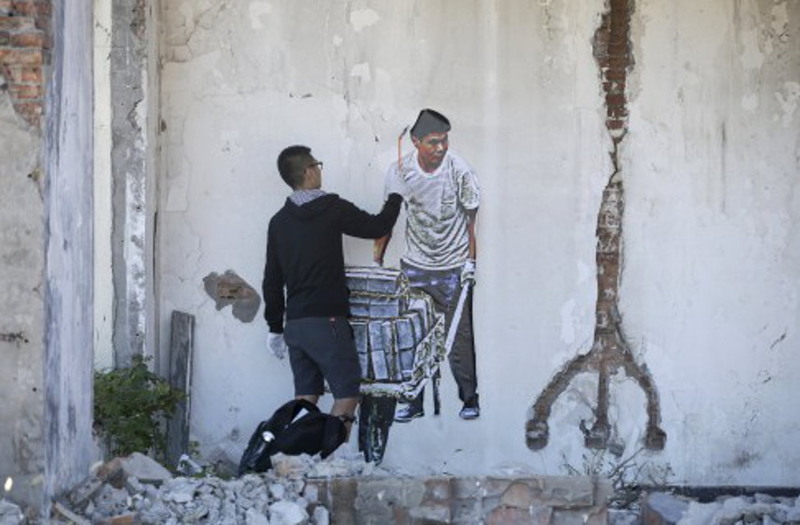 The artist is attracted by abandoned city ruins because he thinks that they depict perfectly the current spirit and the rapid urban growth of Beijing. ROBBBB believes that his work is a reflection of the society he lives in and that he is creating a permanent image of Beijing’s development for future generations. One of his artworks portrays a man in a suit while holding a flower. Another depicts an elderly woman holding a bag full of groceries. The creative process starts with the artist taking pictures of the local residents. Then he enlarges the images in order to make lively, life-size stencils. These artworks seem so realistic that people literary see themselves and their friends and neighbors on the walls. Although the Chinese artist claims that he doesn’t care whether people like his art and that he is more interested in expressing his own “inner thoughts“, his works seems to have many admirers. According to South China Morning Post, various citizens of Beijing, from college students to 60 year-olds appreciate the liveliness and the authenticity of his vivid figures. China is a home of many celebrated contemporary artists and numerous art collectors but street art is quite a novelty in this Asian country. 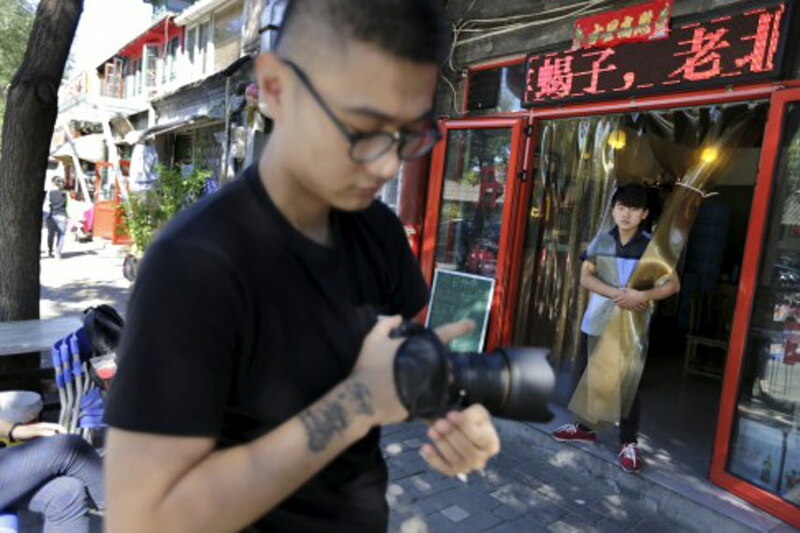 Considering that China doesn’t have strict laws against street art and graffiti these art forms can be practiced freely in the capital, but at this time very few artists are taking advantage of that fact. Although street art is yet to develop in China, ROBBBB sees the similarity between this art form and buildings that are dilapidated. “I believe that these ruins are the intersection of the city’s development. 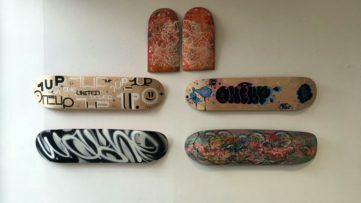 They’re actually just like street art – they all contain some sort of temporary quality.”– said the artist in a conversation with International Business Times. 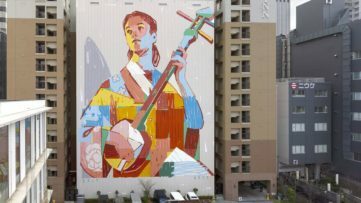 Share your opinion about the future of Chinese street art on our Facebook page. We bring you the finest graffiti and street art from all over the globe, so sign up for My Widewalls. It’s FREE and easy!